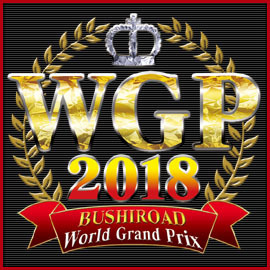 for all North American WGP 2018 Events. An update will be posted 8/21 which will be effective 9/1. Tournaments on 8/24,25,26,31 will use the old list. All others will use the new list. Macross F, Girl Friend Beta, School Girl Strikers, Godzilla, Madoka Magia Record, Star Wars. All other Japanese sets are valid for play. The Decklist and the Organizer Instructions have been updated for additional clarity. including stopping by the day before (on Saturday) to play in the Last-Chance Regional Qualifier! The Nationals will have Free Giveaways, Exclusive Items, and Special Events all weekend, so even if you aren't playing in the Finals, you can have a great time! Note that a number of these events are going to be Judged remotely - there will be a helper facilitating the event, but your attendance means that you understand that your proper conduct is necessary to running this event. Causing unnecessary drama during the event makes nobody happy - strive to be fair and act in a proper manner so that these satellite events can be run. Click here to Register for your Regional. Registered players get priority for promotional material, and seeding if the event becomes over capacity. You must register to assure your entry into a regional. Click here for the Event Advisor / Invitation Winner Manual, and for translations not yet in the database.